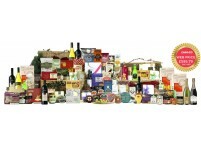 A bounteous Hamper overflowing with classic champers, a multitude of fine wines and a wide selection of spirited and interesting gourmet foods. Incorporating baked festive favourites, a host of cheeses, and a plethora of delicious great taste award winning sweet and savoury delights made by homegrown speciality food producers in the UK & Ireland. 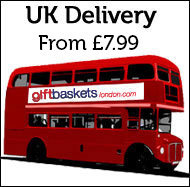 Presented in two Large oversized hampers with leather straps and decorated festively. 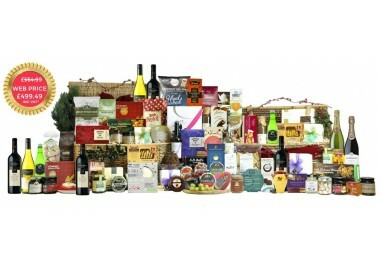 A sumptiously fresh hamper filled with a fabulous selection of exquisitely fresh, gourmet food fit for Royalty. Incorporating a succulent baked ham, a half side of gold taste winning organic smoked salmon, wild venison, artisan cheeses, champagne, a selection of fine wines, and a plethora of great taste award winning sweet and savoury delicacies. Guaranteed to make a Christmas table groan with weight, and create a impression upon receipt.